A FORMER Queensland prostitute who risked her life to take down a corrupt detective almost 50 years ago is set to demand government compensation for decades of pain and suffering. 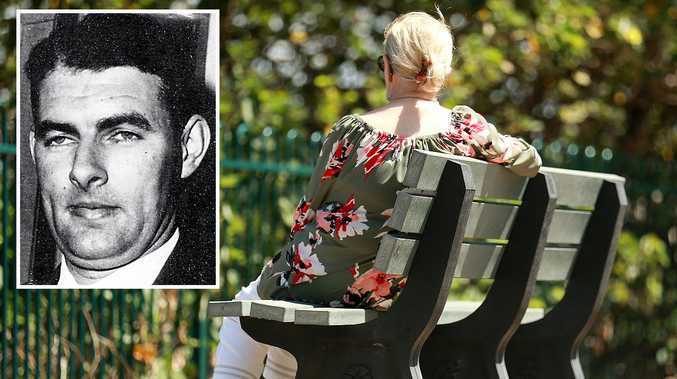 Dorothy Edith Knight, 76, of Brisbane's northern suburbs, has remained physically and mentally haunted by her involvement in a police sting in December 1971 that netted Glen Hallahan, one of the state's most notorious police officers. She said yesterday she was in discussion with lawyers about how to proceed with her historic compensation claim. She said she had the support of medical specialists who had been treating her for several years, one for almost four decades. Knight said she continued to be tormented by the police operation that saw the arrest of Hallahan, who subsequently resigned from the force. 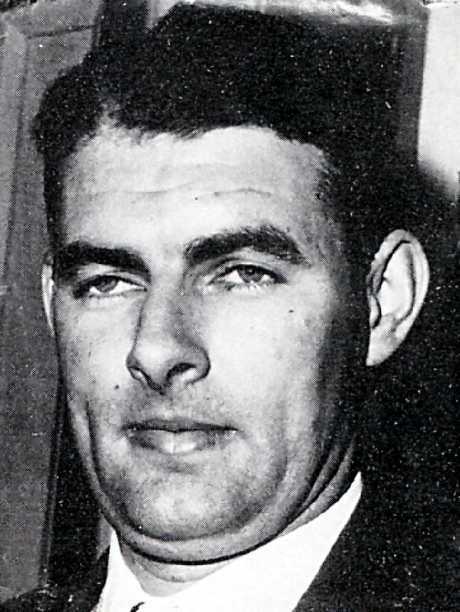 Hallahan was one of the most infamous detectives of his era, and a member of the fabled Rat Pack of corrupt police that included Tony Murphy and former disgraced police commissioner Terry Lewis. Knight regularly paid Hallahan kickback money and towards the end of 1971 agreed to take part in a police operation to snare Hallahan. The sting was operated by then police commissioner Ray Whitrod and his untouchable Criminal Intelligence Unit. It was Whitrod's plan to smash the Rat Pack, and he devised an elaborate operation involving the first ever use by law enforcement of a concealed microphone in Queensland to be fitted to Knight. Knight has two daughters and four grandchildren. In recent years she has indulged in her love of gardening, but not long after the Hallahan incident, which ultimately propelled her from "the game", she made ends meet through a variety of jobs, including working in childcare and running a cleaning business. For a while she was a chef in several hotels. She and her husband lived in and around Brisbane over the years and at one point spent some time in Toowoomba. It was there that one Saturday afternoon the couple was approached in a local hotel and forced to return with police to their home. Police then searched the house before leaving. "It was just harassment, plain and simple," Knight now says. "And I know who was behind it. It was to do with the Hallahan thing, despite the fact that it was many years later." With her illnesses, Knight now lives a quiet life in Brisbane's north. But the past is never far away. "I don't want an apology," Knight says. "I never got one at the time. Not even a thank you. I risked my life in that operation and had death threats afterwards. "I wake up at night thinking about it. It has haunted me since that day. That bloody day." On that day, Thursday, December 30, 1971, Knight had arranged to meet Hallahan on a park bench in New Farm Park in the city's inner northeast to give him his usually kick-back money. Unbeknown to Hallahan, he was being observed by police from a caravan parked on a nearby street, and by undercover operatives who were acting as civilians and working as gardeners throughout that section of the park. When Knight handed over $60 in cash, Hallahan was nabbed. It would prove to be an historic moment. While the serious corruption charges against Hallahan were ultimately dismissed in court, the disgraced detective resigned after almost 20 years of corrupt behaviour. He had groomed Knight to work as a prostitute and not only took a cut of her earnings, but used her as an informant. Knight naively assumed that by cooperating with police to trap Hallahan, she would be able to "get out" of the game, resolve some troublesome domestic issues and start her life afresh. She lived under police protection for 14 months after the covert operation, and was then left to fend for herself. Knight was physically assaulted in a Brisbane hotel for ratting on Hallahan, and later was threatened with a firearm. Knight would go on to live a quiet, reclusive life, but has been beset by medical problems that she and her specialists attribute in part to her involvement in the Hallahan operation. "Does it ever leave my mind?" she said. "I don't think so. I don't think so. I worked as an agent of the state. I was never paid a cent for what I did. It changed my life and still affects me today. "If I knew then how this would have affected me, I wouldn't have done it. I would have pulled out. "I was used up like a dirty rag."